Your Human Resources representative – HR helps you recruit and hire the right people; develop, coach, and discipline when appropriate; and manages the bar of fairness for staff and leaders alike. Where would you and your team be without their expertise? Your IT Help Desk – No one notices when all the office equipment is working, but who do you call when the printer jams, the phones don’t work or you can’t access your email? Let these valuable partners know how much you appreciate them keeping the equipment operating and their help when it doesn’t. Your Trainers – Who helps your new team members learn the day-to-day processes and procedures? Who offers structured development for your emerging leaders? Who do you turn to when you need to roll out a new initiative? Treat your trainers like the critically important resource they are. Your Quality Assurance auditors – These experts help ensure that your team is delivering on the promises the company made to its customers. QA is often a thankless job; be the exception and let them know how much you appreciate their work. Your Building Maintenance team – No one notices when the lights, and the heat and AC are working, right? But let the furnace go down on a 20 degree day and you’ll soon find out how valuable the building maintenance crew is. Let this group know how happy you are that you aren’t typing in the dark with mittens on. A little holiday cheer wrapped in a dose of sincere gratitude will go a long way to strengthening your business relationships. Remember, though, that every team is different with different internal partners. 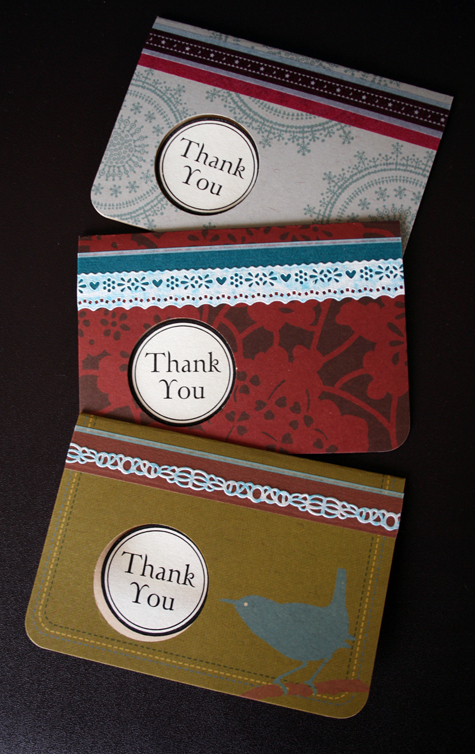 Think about who would you add to this list, then send that person a card between now and year end. Photo credit: Thank You by Saalhena Bamjee, used with Creative Commons license.